As any parent knows, the first moments spent with a new baby are emotional ones. With elation, pride, and hope, mothers and fathers greet their little ones with love and vow to do whatever they can to keep them happy and healthy. For approximately 12,000 American children each year, that means needing assistance to hear better. One of the most common birth defects in the United States, hearing loss currently affects up to 6 in 1,000 babies. More than 10 percent of babies born with an infection called cytomegalovirus can develop hearing loss during their first few years. Most, if not all, infants with a type of hearing loss are diagnosed shortly after birth following their newborn hearing screening. Thanks to this early detection, parents are empowered to make fully informed decisions regarding their child’s health and well-being. Whether they choose to explore hearing technology, such as hearing devices and cochlear implants, or prefer their child adopt American Sign Language as a primary form of communication, early acceptance and implementation of a solution is a vital part of setting up their child for success by instilling self-confidence and promoting the development of stronger speech and learning skills. Since then, each state has taken measures to ensure children are screened as early as possible. Currently, 36 states, Guam, Puerto Rico, and the District of Columbia require hearing screenings for newborns before they can be discharged from the hospital or birthing center. According to the Centers for Disease Control and Prevention, of the nearly 4 million infants born in the United States in 2005, 91.5 percent were screened for hearing loss. Other states mandate insurance policies cover the cost of the screening, the use of state funds to pay for the screenings, or simply require that screening information is made available to parents before they can be discharged. On November 13, 2014, the foremost pioneer of newborn hearing screenings, Dr. Marion Downs, passed away at the age of 100. Downs contributed greatly to the field of pediatric audiology during its own infancy in the 1960s and was instrumental to the implementation of infant testing procedures and standardization. 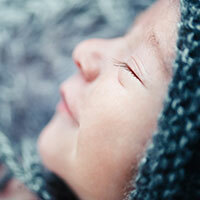 How Does Newborn Hearing Screening Testing Work? Are Your Children’s Favorite Movies Helping Them Develop Noise-Induced Hearing Loss? Even without signs of hearing loss, annual hearing tests are important. They let you monitor your hearing health and react appropriately to any changes. Penn State researchers have found that the hearing screening questions for pediatric preventive care don&apos;t reliably identify teens at risk for hearing loss. Hearing loss has been linked to teen obesity with staggering statistics. This comes in addition to links with other serious health concerns such as diabetes.